Just days after Cllr Ian Ward said “Residents will be able to use the floating bridge during the Christmas period so they can enjoy shopping, celebrating and travelling to family and friends,” the service has been suspended due to another failure of the £6.5+m bridge. 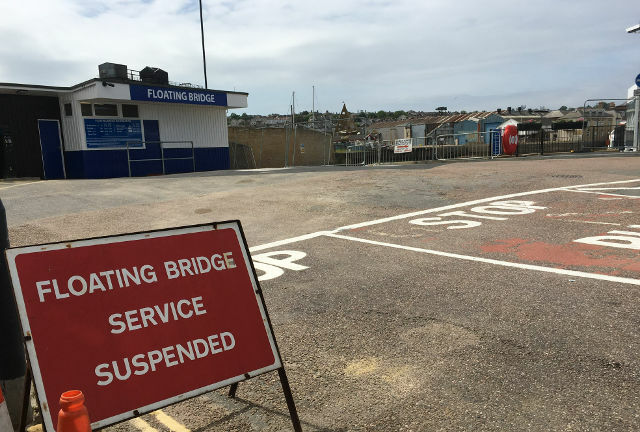 Just days after Cllr Ian Ward had said “Residents will be able to use the floating bridge during the Christmas period so they can enjoy shopping, celebrating and travelling to family and friends,” the service is suspended. According to the ward councillor for East Cowes, Karl Love, there is a fault with the west prow. This is the one that recently had a corner chopped from it. “We should have known this would happen, as Cllr Ward was only bragging the other day that the service would be running over Christmas this week and it seems that whenever he opens his mouth about the bridge, it then fails. “What did he say last week? ‘In operation for 99.5 per cent of its scheduled hours’, but it’s costing the people of our Island a small fortune with no end in sight to the chain issues. 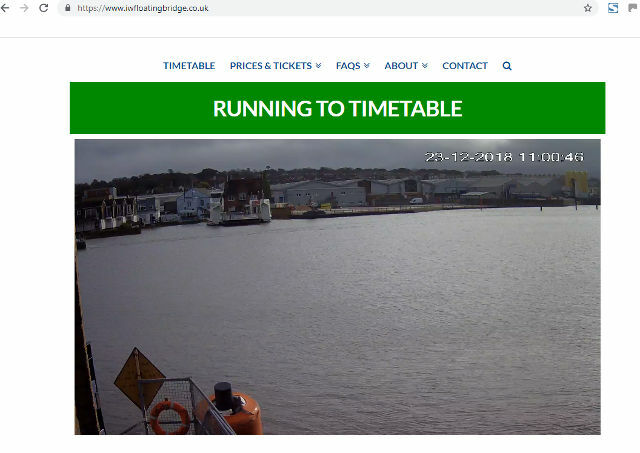 Strangely, despite the service having been suspended for some time, the Isle of Wight council’s official floating bridge Website still says it’s in service. The more reliable FloatyFinder Website gives the true status of the bridge. “What a joke Cllr Ward has become over this issue, in my view making fools of the Administration and causing significant damage to our town businesses and industries. “Residents will be able to use the floating bridge during the Christmas period so they can enjoy shopping, celebrating and travelling to family and friends. 5 Comments on "Floating bridge is out of service: The Cabinet member is slammed over failure"
Would be better to get a New Floating Bridge or get the old one back stop throwing good money after bad. And why is the Chief Executive who is directly responsible for this appalling situation still in post? The well known brewery syndrome comes to mind!